An integral part of an Oral and Maxillofacial Surgeons training during residency is hospital based anesthesia. Oral and Maxillofacial Surgeon applicants for state licensure will undergo an in office evaluation by a state dental board appointed examiner. 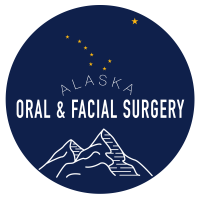 An Oral Surgeon‘s office is also evaluated by a representative of the American Association of Oral and Maxillofacial Surgeons and will receive a Certificate of Office Anesthesia Evaluation. The examiner observes an actual surgical procedure during which general anesthesia is administered to the patient. The examiner also inspects all monitoring devices and emergency equipment and tests the doctor and the surgical staff on anesthesia related emergencies. If the examiner reports successful completion of the evaluation process, the state dental board will issue the doctor a Parenteral Sedation Permit and a General Anesthesia Permit. These licenses are renewable every two years if the doctor maintains the required amount of continuing education units related to anesthesia. Our office offers our patients the option of Intravenous Sedation/General Anesthesia for your surgical treatment. Intravenous Sedation/General Anesthesia is designed to better enable you to undergo your surgical procedures comfortable without remembering the procedures that potentially may be very uncomfortable. IV sedation/General Anesthesia will essentially help alleviate the anxiety and discomfort associated with your treatment. During Intravenous Sedation/General Anesthesia patients are appropriately monitored by the surgeon and staff throughout the procedure and in recovery. Depending upon the patients’ medical history and the extent of the surgical procedure(s) IV Sedation/General Anesthesia with gas inhalation may be provided by an anesthesiologist or nurse anesthetist. An IV catheter will be introduced into a vein in your arm or hand. The catheter will be attached to an intravenous tube through which medication will be given to help you relax and feel comfortable. The sedative drugs will be titrated to achieve proper anesthesia effects. The goal of IV sedation is to use as little medication as possible to get the treatment completed. It is very safe, much safer than oral sedation. With IV sedation/General Anesthesia a constant “drip” is maintained via the intravenous tube. At any time an antidote can be administered to reverse the effects of the medications if necessary. Along with IV sedation there are also other different “levels” of sedation available to you in our office. There is nitrous oxide analgesia. Nitrous Oxide is a sweet smelling, non irritating, colorless gas which you can breathe. Nitrous Oxide has been the primary means of sedation in dentistry for many years. However, Nitrous Oxide is not as effective in the majority of oral surgery procedures. Nitrous oxide is safe; the patient receives 50-70% oxygen with no less than 30% nitrous oxide. Patients are able to breathe on their own and remain in control of all bodily functions. The patient may experience mild amnesia and may fall asleep not remembering all of what happened during their appointment.